Automatic litter boxes take away some of the unpleasantness of cat ownership. Cats provide us with love, snuggles, and purrs, but also with copious quantities of waste. No one relishes the task of scooping out a stinky litter box, which is mandatory with traditional litter boxes. Fortunately, automatic litter boxes make the task a bit easier. They don't completely eliminate maintenance, but they take less time and effort and usually do a better job of keeping down odor than manual scooping. With all the options on the market, which is the best automatic litter box? That depends on many factors, like how many cats you own and where you plan to keep the box. 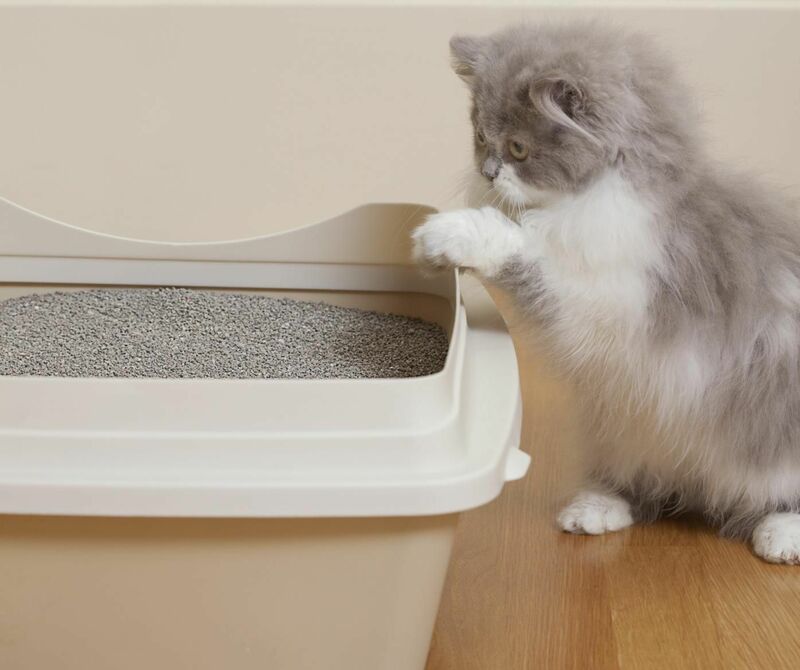 This list will help you choose the best automatic litter box for your household. The first automatic litter boxes on the market worked by cleaning the litter with rakes. Your cat would do his business, and after a specified length of time, the rakes would run through the litter and push the soiled clumps into a container. Instead of scooping the litter manually every day, you simply empty the container at longer intervals. The amount of time you can go in between emptying depends on the number of cats you own and how much waste they produce. Obviously, you need to use scoopable litter in these boxes, so the rakes can remove the solid clumps. If you use an automatic litter box with a rake, it may take some experimentation. Litters that don't clump very well will leave little pieces that break off from the main balls. Super-clumping litters may be too hard for the rake to move and cause it to stall or jam. Automatic litter boxes also need to be near an electric outlet, since they run off electrical power. Most are larger than standard boxes, making your placement options more limited. When selecting an automatic litter box, choose one with a large capacity holder for the waste, especially if you have a multi-cat household. SmartScoop had a nice-sized container that could go several days, even with four potty-prolific cats. SmartScoop is moderately priced and includes all your supplies, like bags and filters, for six months of use. Most people think of rakes when they think about automatic litter boxes, but the Litter Robot brought an entirely new type of cleaning to the market. The Litter Robot looks like something out of Star Wars, but its round head rotates to clean the litter. You cat goes into the round compartment and does her business. Her weight on the step leading into the box triggers the cleaning mechanism, which starts after a set amount of time. The round compartment rotates and deposits the litter into a nice, large drawer. Note that some cats are unable to use this, as they may be too large to comfortably fit and move around inside. This litter box would be just about perfect if it had a "jumbo cat" size. The Litter Robot is pricey, but it's very durable and rarely gets stuck during a cleaning cycle. It uses standard clumping litter, and you can buy special bags to line the drawer, but Target bags work just fine. If you don't want to spend quite that much, the Litter Spinner is a manual option that works in a similar way. You spin the box yourself as needed, so it doesn't need to be kept near an electric outlet. Like the Litter Robot, it's a tight squeeze for larger cats. The CatGenie has a unique twist on automatic litter boxes. It flushes with water, cleaning the "litter" (actually special granules), then drying it so it's ready for its next use by your cat. The granules are longlasting, so you don't have to keep buying cat litter. The CatGenie needs to be connected to a cold water line, and it also plugs into an electric outlet, so its placement is limited to places like bathrooms and laundry rooms. You can set up the CatGenie to run after your cat uses it or opt to have it run automatically several times a day. You can also run it manually instead of selecting an automatic option. CatGenie packages include the unit and supplies.